Have you recently decided to get your bathers on and jump into the dating pool? Congrats! This is an exciting time, full of adventure and possibilities. Online dating is a fantastic way to get yourself out there and meet some truly wonderful people. Zoosk and RSVP are both popular and successful dating sites in Australia, and both have a great deal to offer. But when push comes to shove, which site is really better all around when it comes to finding a special someone? 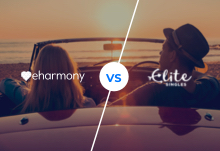 We pit the two in a head-to-head battle to find out which one comes out tops. Naturally pricing is going to be a factor when deciding on a new dating site. RSVP is free to join and search for potential members, but similar to most dating sites, you won’t be able to initiate too much communication without paying. To email a potential match you can pay with stamps, a currency unique to RSVP, where each stamp allows you to send unlimited personal messages for 30 days to any other RSVP member. You can buy 6 stamps for $59.95, 12 stamps for $79.95, or 24 stamps for $109.95. Alternatively, you can go for a RSViP membership for $14.90 per month. The longer you sign up for the better value for money a membership comes out to be. The 3 month membership works out at $11.69 monthly, and 6 months at $9.99 monthly. Zoosk operates in a similar fashion to RSVP where you’ll need to pay if you want to interact with potential matches. One month membership is $29.95, and the longer you sign up for the better value for money it is. A 3-month membership works out at $19.95 monthly and 6 months for $12.49. Winner: RSVP wins this round at a marginally improved value for money battle. Signing up to RSVP is really quite straightforward and can take minutes to complete. You can sign up through Facebook, or alternatively just fill out your gender and the gender you’ll be searching for (the site is LGBT friendly). You then fill out your date of birth and postcode and hit join for free. From here on out you can immediately start searching. However, the more accurate and full your profile is, the higher the chances you’ll find some potential matches so it’s recommended to fill out the detailed RSVP questionnaire. Here you’ll be able to state what you are and aren’t looking for in a match. There’s also a ‘Dating Deal Breakers’ section which determines the character traits in a potential partner that you categorically will not compromise on. Zoosk’s sign up process is similar to RSVP’s. You fill out your date of birth, your gender and the gender you're interested in (also LGBT friendly), and then go through a simple email verification process. You’ll also have the alternative option to sign in through Facebook or Google+. Again, the more information you add the better your profile will look. So take the time to add some important details to your profile, including your location, photos, information about your lifestyle and physical appearance. You’ll also be asked for what you’re looking for in a match, so users get to know you better. If you don’t fill out additional information on your initial sign up, Zoosk will prompt you to do so at a later stage. Winner: It’s a draw here- Both Zoosk and RSVP have a quick and uncomplicated signup process. Both sites have an easy-to-use interface. RSVP has a smart mobile app version with the option to upload a photo from your mobile phone to your RSVP profile. It offers SMS alerts which notify you by text message each time you receive contact from another RSVP member. The RSVP site is super easy to navigate and a real bonus is that the site offers safety and security advice for members, with a reminder list of do’s and don’ts while chatting. Zoosk also has an attractive and easy-to-use interface with a really nice design element. The style of the platform has a real social media feel which is comfortingly familiar if you’ve used any social media channel. It also has a technologically-advanced mobile app so you’re not only limited to your desktop. Winner: Very close battle here with RSVP coming out on top because of the smart mobile app and SMS notification when a message has been received. Zoosk’s behavioural matching system boasts its ability to ‘learn’ about you and your interests the more you use the site. In this way your matches are well designed to fit your habits and interests. In addition to suggested matches, there is a simply-designed search function where you can filter members based on criteria like age, lifestyle, location, religion and social habits. Once you’ve searched you can save your searches for the future. Winner: Zoosk is a clear winner here with its behavioural matching system. To ensure online dating remains fun and engaging, most dating apps have some extra features to keep you interested. Zoosk and RSVP are no exceptions to the rule. RSVP has some really useful communication tools to help members get to know each other including ‘kisses’ and a mobile friendly messaging system. RSVP also has it’s own currency system using stamps and stamp books which you can purchase to immediately start communicating with matches via personal messages or chatting. Another aspect to RSVP is the special events and activities it organises for members, with special single nights and get-togethers. Zoosk has some additional features that accompany the basic search function. ‘The Carousel’ is a game that offers the ‘tinder’ experience by hitting ‘like’ or ‘dislike’ when browsing through profiles. There’s also ‘Smartpick,’ which will send you member recommendations that are more specifically suited to you. 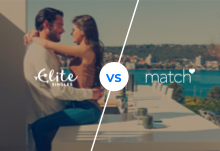 The Smartpick match will be based on the questionnaire you filled out at signup or through Zoosk’s behavioral matching system. Lastly there are some handy communication features where you’ll be able to send a wink, a like, a message and video chat which you can all send using “coins,” Zoosk’s own unique currency. Winner: Both sites have fantastic features but Zoosk wins this round with its interactive matching features. Privacy and safety are important issues for both dating sites. RSVP has a useful section about online safety and tips on privacy and security, including a variety of dating advice articles with suggestions on how to deal with selected dating issues. Zoosk ensures each profile signup is verified, either through a Facebook profile - where the account is linked to a Facebook account, or ‘phone verified’ - where the users have submitted a valid phone number and video verification. This helps deter fake profiles and ensures the people you are interacting with are real. Winner: Zoosk comes out on top with its secure verification feature. 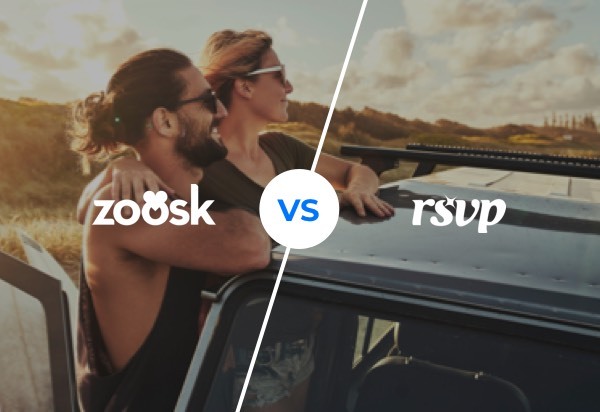 The battle between RSVP and Zoosk is almost a tie, however Zoosk is the overall winner with its innovative features and extra care for safety. Plus, with behavioural matchmaking, the chances of finding a potential match are higher.